Firm: Hamilton, Brook, Smith & Reynolds, P.C. Mary Lou is a software engineer with experience in numerous programming languages, data analyses and software/application design. She is familiar with various data structures, compression/ decompression techniques, encryption technology, blockchain, digital signal processing, artificial intelligence/neural networks, machine learning, pattern matching, bioinformatics, video gaming and computer network/Internet technology. Her approach with clients is to learn their business goals and then strengthen their positions in their industry by developing strong intellectual property strategies. Mary Lou’s work in patenting technology spans many technology innovations and leading companies in their fields. For Lotus Development Corporation, Mary Lou developed one of the early spreadsheet patents in that industry. Working with Digital Equipment Corporation, she procured one of the earlier patents on fonts for printer applications that became critical in their business. Mary Lou has worked on patents for technologies such as an artificial pancreas for diabetics and educational systems for autistic children. She also obtained patents for some of the first speech-to-text translation technologies. 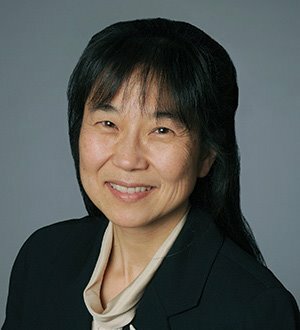 Mary Lou’s patent prosecution work includes prosecuting a U.S. patent on Fast Face Detection by Viola-Jones, which is an authority in the digital image processing field, and prosecuting early U.S. patents for the Alta Vista search engine, which was the precursor of the Google search engine. Outside of the firm, Mary Lou has contributed to the Boston Patent Law Association (BPLA), Licensing Executive Society (LES), the Asian American Law Association of Massachusetts (AALAM) and various start-up accelerator programs. She has been an active supporter of the MIT Enterprise forum by mentoring start-ups and giving patent presentations to numerous audiences at MIT. Mary Lou is a volunteer presenter and member-supporter of the Tau Beta Pi Engineering Honor Society. Mary Lou presented at the Association of University Technology Manager (AUTM) conferences in 2016 and 2017. She is a frequent speaker on the topic of the benefits of patents in an Open Source environment. Mary Lou enjoys the opportunity to speak at local events that show the roles women can play in business careers. She has spoken to many Girl Scout Groups, school groups and women’s groups. In 2018, Mary Lou received the distinction of Best Lawyers in America® 2019 for her patent law expertise. University of New Hampshire School of Law, J.D.